SouthworldChurches February 2019The Jesuit Refugee Service. The African Microcosm In The Streets Of Addis Ababa. 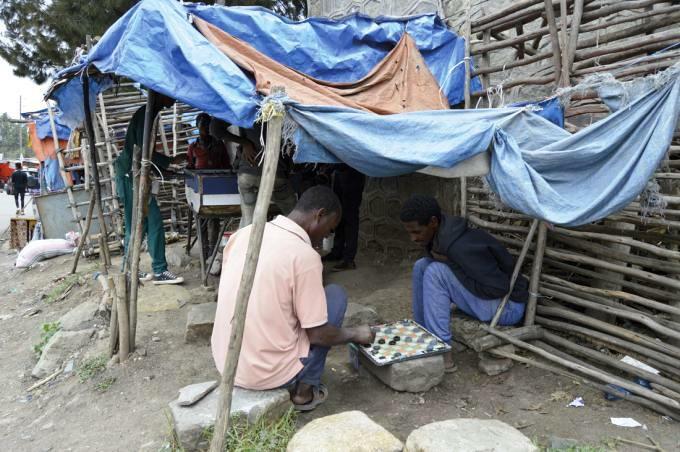 Ethiopia is Africa’s second largest refugee hosting country with more than 800,000 of them in its territory. They are victims of wars, persecutions or natural disasters. 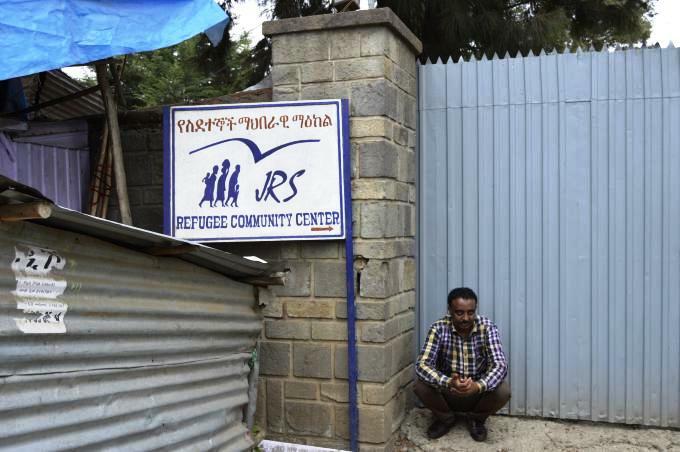 There is just one centre for refugees in Addis Ababa and it represents the microcosm of some of the problems that affect the African continent. The large outdoor patio where several young people play volleyball, table tennis and table football or chat with their friends apparently could be a public space of any city. 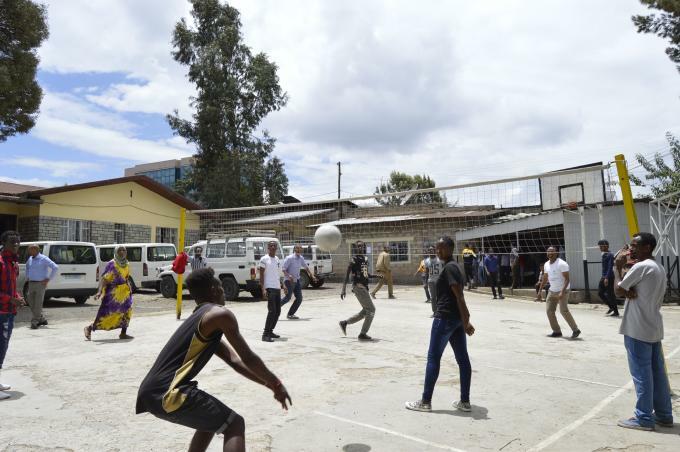 In reality, this is the courtyard of the only urban refugee centre of Addis Ababa, the capital of Ethiopia, the sixth largest migrant hosting country in the world, and the second in Africa, after Uganda.The wounds generated by the most serious conflicts that affect Africa are cured in this courtyard. Most of the people who arrive at the centre every day come from Eritrea, Somalia, South Sudan, Sudan and the Democratic Republic of the Congo. “The refugees of different nationalities escape from different tragedies and problems. Eritreans flee a brutal and oppressive regime and compulsory military service for life; Somalis escape from Al Shabab’s terrorism, violence and atrocious drought; the Sudanese escape from violence, insecurity and hunger; the South Sudanese from the violent conflict and the famine that are ravaging and emptying the country … “, says Eyesus Mulugeta, director of this centre run by the Jesuit Refugee Service (JRS) along with the Intercultural Foundation, the Jesuit NGO for education and development. 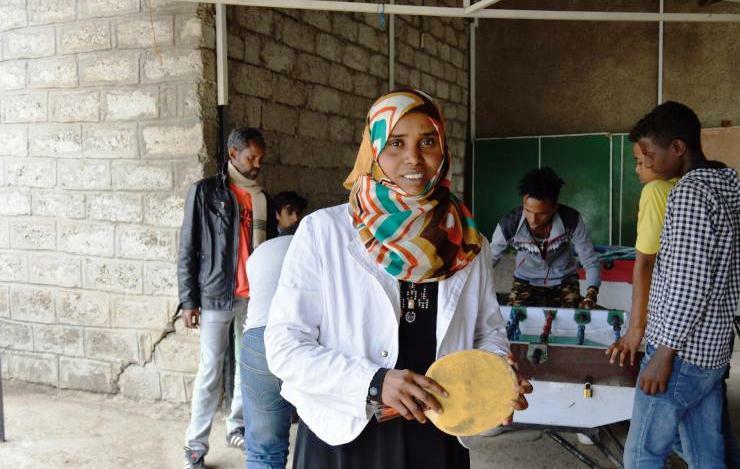 Neway Alemayenu, a manager of the centre, says that the geographical proximity has facilitated also the arrival of a relevant flow of Yemenis seeking refuge in Ethiopia. They try to escape from bombing, famine and cholera. “The situations in Yemen and South Sudan are currently the most dramatic”. The philosophy of the JRS is based on sport, education and entertainment These are the tools that help to manage the drama lived by each migrant and help them integrate in the new community where they have just arrived. “We help refugees to integrate until they can return to their cities, which is what the majority of them want”, says Mulugeta. The JRS is a day centre. Migrants are not supposed to spend the night there, but they can attend Inizio moduloworkshops, courses, and sports during the day. The centre opens very early in the morning and closes at five in the afternoon. Refugees at the JRS can participate in the activities that include training and leisure such as: English and computer lessons, classes of music, education programs for adults, teenagers and children. 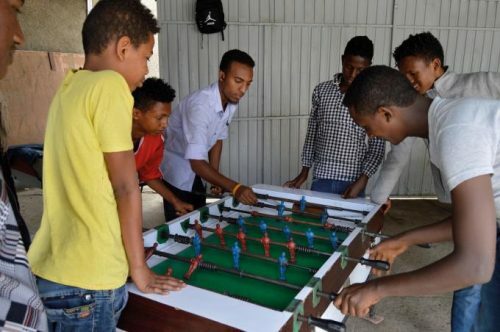 “Basically we help urban refugees – who usually live in precarious living conditions – to integrate into society and have opportunities”, Alemayenu explains.Besides training and entertainment, the JRS also provides psycho-social support, information and guidance on migrants’ rights, and a service for carrying out legal and social procedures. “Refugees are often asked to fill out paperwork in order to get help or access to an opportunity of whatever kind, and we help them to fill the forms, and at the same time we offer them psycho-social support and recreational activities. Although the JRS people began to provide assistance in East Africa in the 1980s, they settled down in the region only in the 90s and in the middle of that decade they started to focus efforts on urban refugees of Addis Ababa. “Those were years characterized by the Rwandan genocide, by the wars in the Great Lakes region and by thousands of Sudanese fleeing towards Ethiopia and Uganda. The current geopolitical situation is not so distant from the recent past of the Horn of Africa. There are still internal armed conflicts going on in Sudan, South Sudan and Somalia, and thousands of people are forced to flee their countries, while others have moved internally. Repression and persecution by oppressive regimes is increasing, as is the exodus towards neighbouring Ethiopia, where according to the JRS, there are more than 20,000 Eritreans in Addis Ababa alone. of the Horn of Africa. Besides the humanitarian reasons for the reception of refugees, Mulugeta adds those of diplomacy. “We must welcome refugees also for diplomatic reasons. We offer them training and formation so that the day they can go back home, they will be able to help to restore the political situation of their country. In this way, we are also sure that our neighbouring countries will be our friends”.